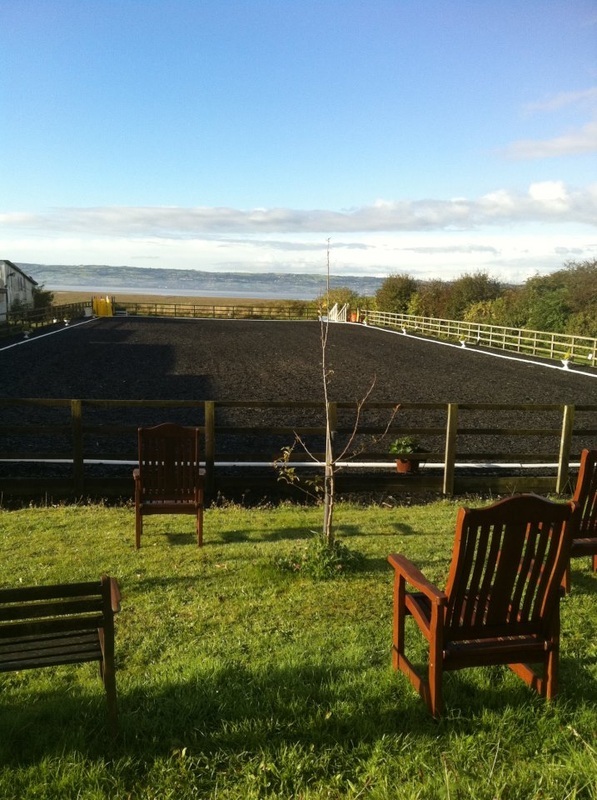 ​Dee Farm Livery is situated in the picturesque village of Lower Heswall on The Wirral. It's unique setting, on the banks of The River Dee provide it with uninterrupted views over the River Dee Estuary, North Wales and the Welsh Hills beyond. The location is simply stunning. Dee Farm was originally a National Hunt training yard. 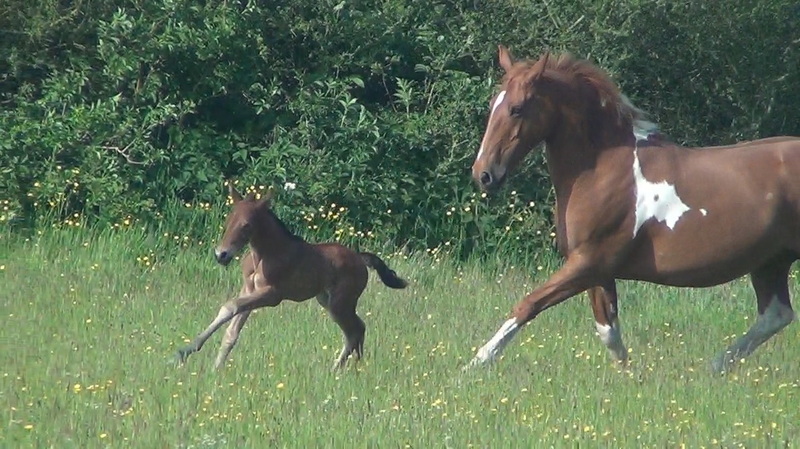 In 1974, Liz Waites began renting the yard and set up Dee Farm Riding School and Livery. The riding school became well known for its fabulous hack rides and school lessons, with most people in the area being able to say they rode here at some point. Unfortunately, rising costs forced the closure of the riding school in 1994, however the livery remained open. Having been established for nearly 40 years it is one of the longest standing equestrian facilities in the area. The setting of Lower Heswall provides Dee Farm Livery with unrivalled hacking which it's livery clients enjoy on a daily basis. Directly behind the yard is 'The Wirral Way'. This a 12 mile bridle path which runs along the line of an old railway from West Kirby to Hooton, we are roughly at the mid point. There are two separate paths for horses and walkers. The Wirral way can be accessed at the end of our lane, meaning you can hack out for hours without touching a road. Running adjacent to the Wirral way is Heswall Beach. A quiet beach with lots of open space and clean sands to gallop on. 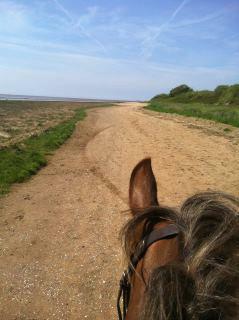 It is possible to ride all the way to Hilbre Island at West Kirby. 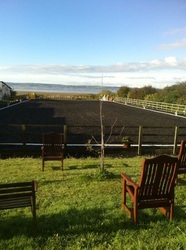 Another picturesque route within a two minute ride of the yard is Heswall Dales. This is a forest path up through hills and back down quiet residential roads. These are just a few routes as there are too many to mention. Dee Farm has under gone many changes over the past few years, with the installation of the brand new 30x60m arena, permanent fence lines, Solarium, Hot Horse Shower and horse walker, with more plans for regeneration in the near future. I started working with horses nearly 15 years ago. I have been very fortunate in my career path, starting off as a groom at a livery yard in a village near to where I life's in Leicestershire, this is where I decided that I wanted to gain my BHS stages so I attended Brooksby university for my stage 1 and Brackenhurst equestrian college for stage 2. At this point I had itchy feet and so I worked at a yard for about 8 months as an acting assistant manger. I have to say that this was one of the hardest jobs I have ever had and one of the best. The proprietor Patsy Day is a fantastic horsewoman and I learnt a lot and then some. After my time at Stubley hollow farm I went back to manage the livery yard for maternity cover and studied for my BHS PT.